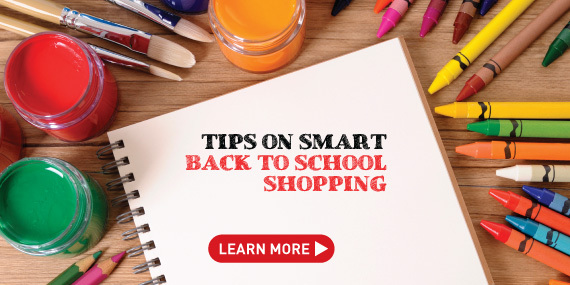 The back to school shopping season is a great opportunity to catch some deals on office furniture and desk accessories. In addition to the standard purchases of school supplies and clothes, if you have a home office, require a new desk setup at school, and/or are in need of a study space, buying desks and office chairs during the back to school season can save a lot of money. No desk is complete without a high quality and comfortable office chair to match. Through 123ink’s exclusive back to school deal, receive an ergonomic adjustable high back office mesh chair in black for only $59.99 with fast, free shipping included anywhere in Canada. 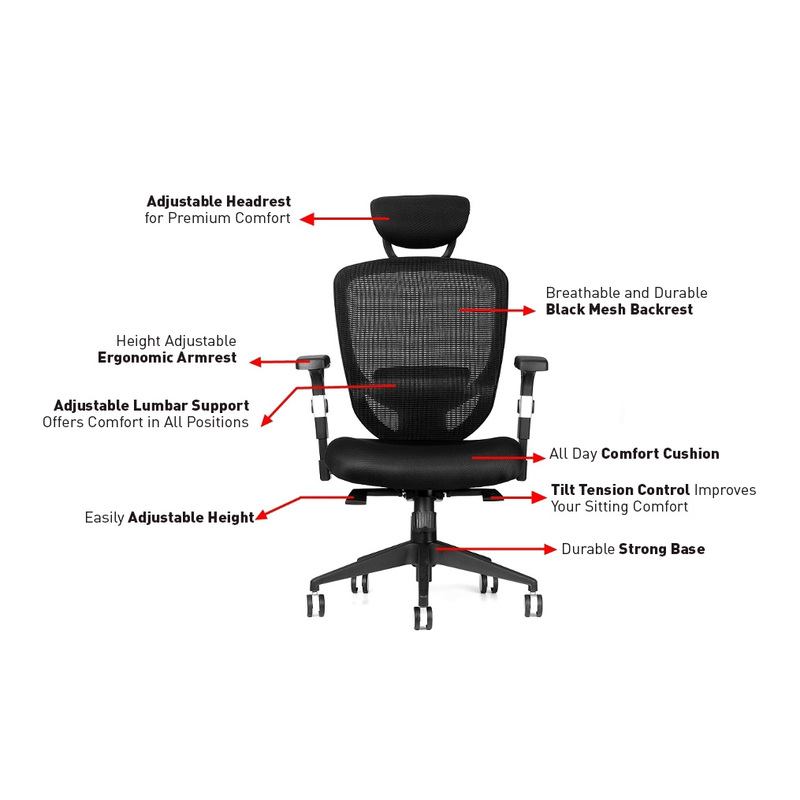 After seeing the price come down on discount from $169.99, this high back office mesh chair is complete with a Chrome gas-lift, Nylon casters, height adjustable arms, and a weight capacity of 250 pounds. Even better, let’s say you decide to pair it with a desk and backrest or some other ergonomic office accessories, those all can be found in the 123ink eCommerce catalogue as well. Anyone who needs to be stuck at a desk for work or study, having a comfortable chair makes all the difference in the world. As the irritations of a bad office chair begin to add up, this can affect productivity and irritability in some pretty negative ways. The high-back support is a major bonus on this chair and the low price means that, in terms of budget-friendly affordable desk chairs, it’s truly hard to beat. 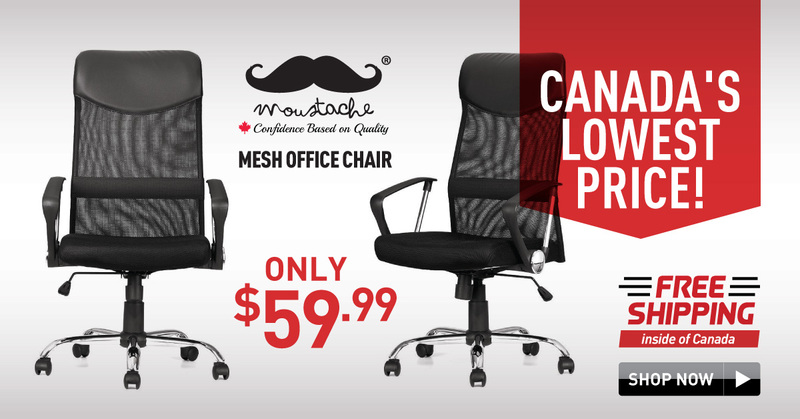 Moustache office chairs are perfect for students and professionals who need to sit down all day. A low-budget bad performing office chair is nonsense. Keeping with lower quality office chairs could leave your lower back hurt, shoulder blades burning, and legs going numb in addition to the long-term risks involved with prolonged sitting. The Moustache brand is worth investing in as something that will get you the physical support you need to keep at the top of your game. Better yet, you don’t need to spend $1,000 or more on it. 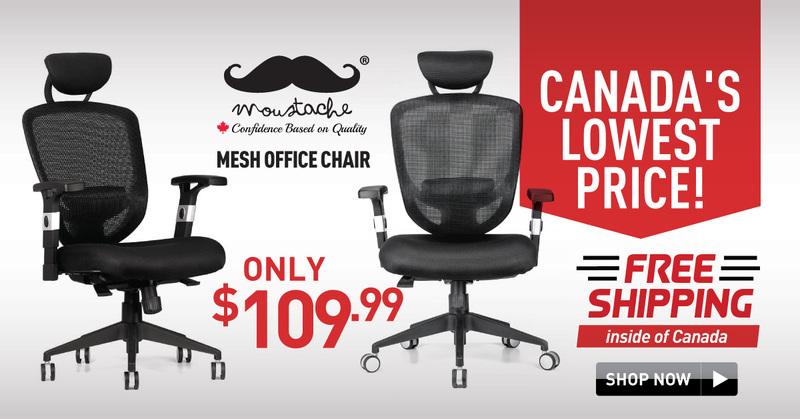 For under $60, the Ergonomic Adjustable High Back Office Mesh Chair, Black – Moustache® is a smart buy! Shop with 123ink this back to school shopping season to find the best deals on Moustache office desks and ergonomic accessories. 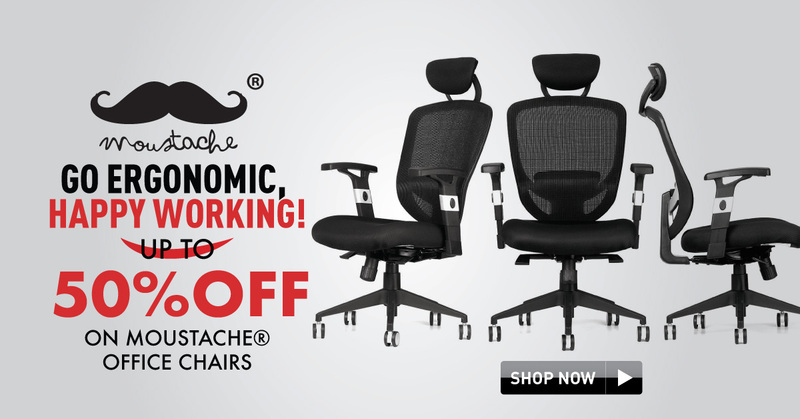 If the items you’re being recommended are not in a preferable price range, the Moustache office chair most likely is. Far cheaper than anything in corporate retail, including IKEA, enjoy the advantages of a chair that does right by its consumer.